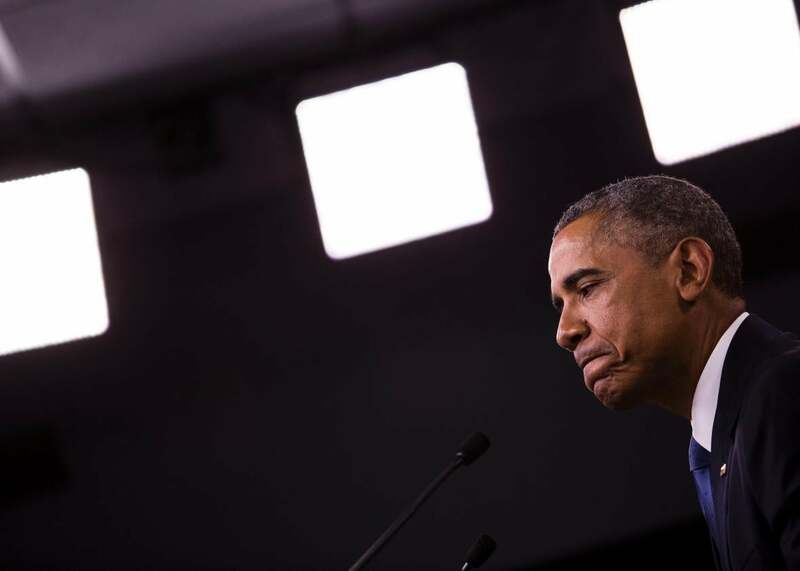 Obama says bombing possible in Russian crash; Cameron says it's "more likely than not." U.S. President Barack Obama delivers remarks after meeting with members of his national security team concerning ISIS at the Pentagon July 6, 2015, in Arlington, Virginia. President Barack Obama gave weight on Thursday to the conclusion that the Russian airliner that broke apart over the Sinai Peninsula on Saturday was taken down by a terrorist bomb. On Wednesday an anonymous U.S. intelligence official told CNN that the crash, which killed all 224 people aboard the flight from the Egyptian resort city of Sharm el-Sheikh to St. Petersburg, Russia, was most likely caused by a bomb planted by ISIS or an ISIS affiliate. Obama would not go as far as his British counterpart (there are no U.S. flights to the resort town for him to cancel), but he did say that a terrorist attack was now considered a possibility. The Washington Post reported on Thursday that as many as 20,000 British tourists are in the resort town, many of them now stranded by the flight suspensions. The British low-cost carrier EasyJet said that it had to suspend additional “rescue plans,” but that two evacuation flights had been able to leave Sharm el-Sheikh. The Federal Aviation Administration had previously “issued guidance to airlines to fly higher above the region,” the New York Times noted. Daniel Byman wrote in Slate on Wednesday how the “attack on a Russian plane may seem intuitive given Putin’s recent intervention in Syria, but this too would be a shift” in strategy for ISIS from locally focused attacks to international terrorism, and that the U.S. and its overseas interests would be another likely target. Update, Nov. 6, 2015, at 9:45 a.m.: Vladimir Putin has announced that Russia is also suspending its flights to Egypt. Update, Nov. 6, 2015, at 4:30 p.m.: French media has been reporting that unspecified sources, officials, and “one source who had access to the black boxes” are saying that the plane’s black box pointed to a mid-flight explosion. “According to LePoint, an unnamed official close to the investigation has revealed that results of tests carried out on the cockpit voice recorder show the tragedy could not have been caused by either a technical fault or an error by the crew,” the Independent reported.